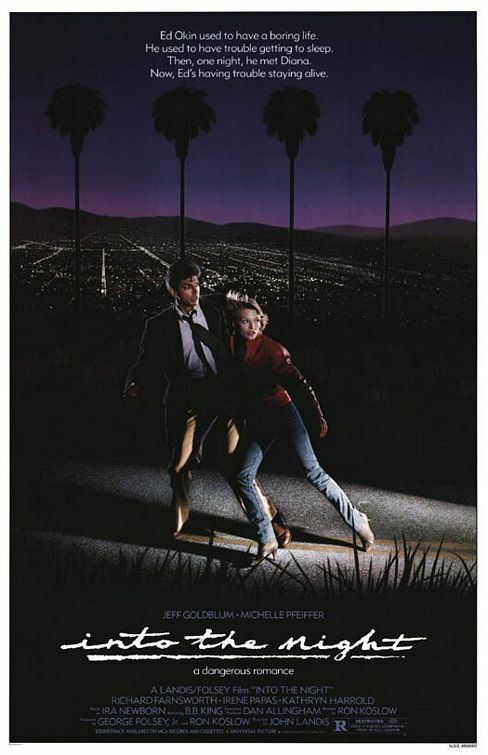 The 80s really were a special time when directors like John Landis could make hybrid films like Into The Night, blending tones and genres (comedy, noir, action, thriller, drama) effortlessly. Pfeiffer is at her most gorgeous and charming, Goldblum is fairly restrained (which works well for the film), Bowie has a small but memorable role, and Landis packs ITN with more cameos (largely by directors and writers) than you can count. I had never seen this film before now but it comes highly recommended.